Palace City Pedalers Bicycle Club Welcomes You! We hope to provide a place for you to find all the bicycling information needed for the Palace City (as in the Corn Palace) and the surrounding communities. We have a vibrant biking community of both single-track and roadies, both experienced and beginner riders. During the summer months we'll have both evening rides and weekend rides scheduled on a regular basis. Our favorite rides include the monthly Moonlight Ramble around Lake Mitchell, Saturday breakfast rides, and Singletrack Sunday. Check out the Event Schedule for dates and times! Remember: Helmets required on all rides. Trail conditions will change quickly due to the weather. E-mail or Facebook us for up-to-date conditions. 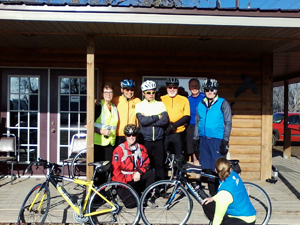 Breakfast rides (even on a warm winter day) are always popular. 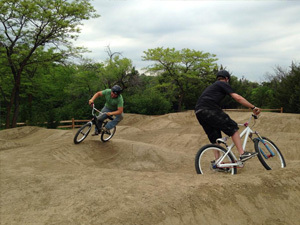 Located in Kiwanis Park, a newly built pump track is always looking for riders. 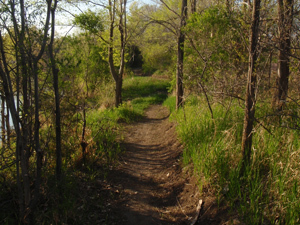 Over three miles of Single Track Trail at Kiwanis Park plus approximately 10 more miles of trail scattered around Lake Mitchell. 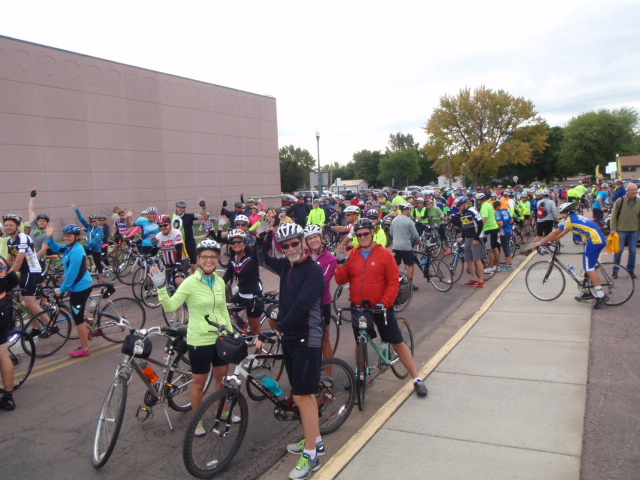 The Annual Tour de Corn weekend is now always the weekend BEFORE the Corn Palace Festival, i.e the TdC is usually the third weekend in August.